I have been eyeing this sketch over at CAS(E) this Sketch for days! have no idea which pens I would use to fix him…because it’s been so long! inside of the card. Then decided it was to plain so I added some stars! 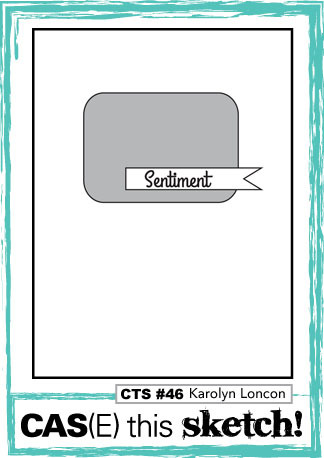 The image is from Bugaboo stamps! I used my spectrum Noir Pens to color him! Categories: Cards, challenges | Tags: Card making, Cards, Happy Birthday, rubber stamps, sketch challenge, spectrum noir pens, stamping | Permalink. I LOVE your coloring! Cute colors for a sweet image…love the diecut window’s shape too! I think he is cute! Sweet card! He is adorable. I like your cutout window and the added stars. I think he is colored great. He is so CUTE, Nancy and I LOVE the stars and balloons! Super cute! 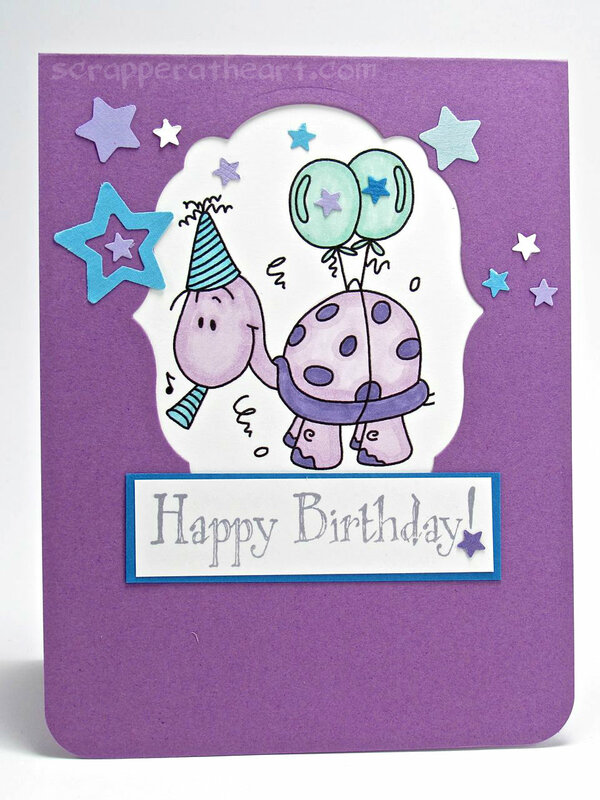 Love the color combo & sweet turtle…and the stars are a perfect touch! He’s really cute. I love the pep that the stars add.